Good Monday morning! 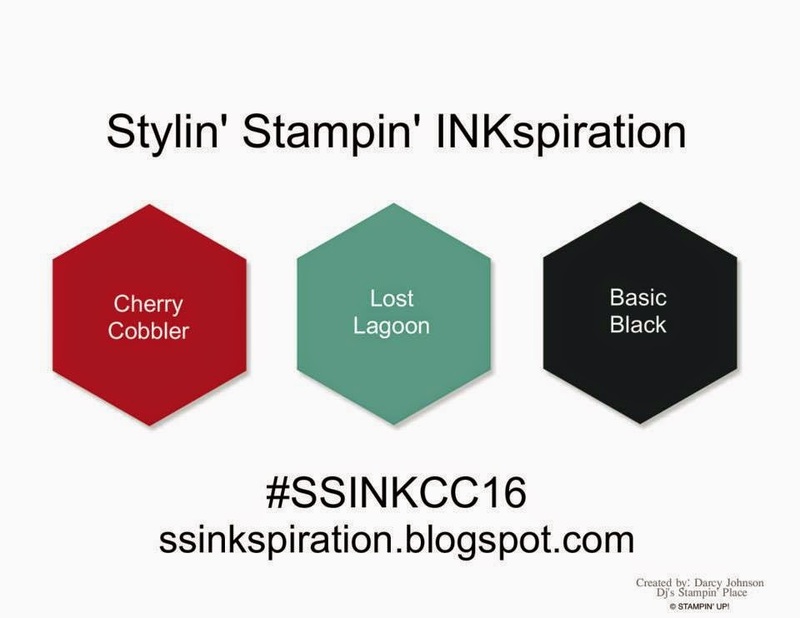 Its not only December 1st but its the 1st Monday of the month and its time for another color challenge over at Stylin' Stampin' INKspiration. I just love this combination and I hope you will too. So get to creating and come play along with us this week! So I love Christmas and all, matter of fact I'm in the middle of decorating now, but I will be honest to say, I needed to move on from so many recent Christmas/holiday cards. I wanted to create a different style card, so I pulled out a set I haven't played with in a while. Kinda Eclectic is one of my favorites from the full catalog. There is just so much you can create with it. I have a couple December birthdays coming up, so I decided to create and fun and stylish birthday card with it, mixed also with a little Works of Art. Again, thanks for stopping by. Don't forget to head on over to our main blog site to see what the other designers have created. We hope to INKspire you to play along with us. Cute card! I love the paper clip in the middle of the butterflies! SO CUTE! LOVE. THIS! Thanks for sharing! Great use of the colors in a non Christmas card... Love it!